1.1 The Code of Conduct prescribed by the Institute is provided for in By-law 23. 1.2 The aim of the Code of Conduct is to raise the level of professionalism and the quality of service rendered to the public, to enhance the credibility of the accountancy profession, and to increase the confidence of the public in the profession. 1.3 Breaches of the Code of Conduct may be considered punishable offence within the ambit of By-law 13. 1.5 A member may be held accountable should he commit any breach as above whilst exercising his duties as a Trustee of a trust fund or an insolvent estate or as an Executor in a deceased estate. 1.6 The Code shall apply to full and associate members, and shall be interpreted from a broad perspective. 1.7 Unless inconsistent with the context, words and expressions in the masculine gender include the feminine and words signifying the singular shall include the plural. 1.8 The definitions as set out in the Constitution shall have a corresponding meaning in the Code of Conduct, unless the contrary is indicated by the context. 2.1 “Integrity” which means that members should be open and honest in their dealings, and truthful in the performance of their services. 2.2 “Objectivity” which means that members should be impartial and not allow prejudice or bias, conflict of interest or the influence of others to override their objective judgement. 2.3 “Professional competence and due care” which means that members should perform their services with due care, competence and diligence, and have a continuing duty to maintain their professional knowledge and skills at a level sufficient to ensure that all relevant stakeholders, e.g. clients, employers, credit providers and other government departments/agencies receive the advantage of competent service based on the latest developments in the profession and in keeping with current legislation. 2.4 “Confidentiality” which means that members should respect the confidentiality of information acquired during the course of performing professional services and should not use or disclose any such information without proper and specific authority, unless there is a legal or professional right or duty to disclose such information. It is noted that the duty of confidentiality continues beyond the end of the relationship between the full member and the client or employer. 2.5 “Professional behaviour” which means that members should act in a manner consistent with the good reputation of the Institute and the accounting profession, refraining from any conduct that might bring the Institute and/or the accounting profession into disrepute. Members should conduct themselves professionally with due consideration towards clients, third parties, other members of the accountancy profession, staff, employers and the general public. 2.6 “Technical standards” which means that members should perform their services in accordance with the relevant technical and acceptable standards applicable at the time and with due regard to the legislative requirements that may apply. Members are duty-bound to perform their services with care and skill, taking note of the instructions of the client or employer insofar as these instructions are compatible with the requirement to act with integrity, objectivity and independence at all times. 3.1 When members undertake an advisory and/or a reporting assignment, they should act and be seen to act in a manner that is free of any interest or conflict of interest and which may be regarded, whatever its actual effect, as incompatible with their commitment to integrity, objectivity and independence. 3.2 A member who has reason to believe that his or his employee's involvement in an assignment could possibly cause a conflict of interest should immediately disclose this possibility to his client or the relevant entity. Where it is clear that a material conflict of interest exists, a member should decline the assignment. 3.3 A member should not concurrently engage in any business, occupation or activity that impairs or may impair his integrity, objectivity, independence or the good reputation of the Institute or the profession, and that would therefore be incompatible with the requirements for the rendering of acceptable professional services. 3.4 Rendering two or more types of professional services concurrently does not in itself impair integrity, objectivity or independence. Simultaneous engagements in other businesses, occupations or activities unrelated to the professional services provided by the member, and which have the effect of not allowing the full member to properly conduct his engagement in accordance with the fundamental principles of the accountancy profession, should be regarded as being inconsistent with the accountancy profession. 4.1 A member should not portray himself as having expertise or experience that he does not possess. 4.2 Members should ensure that their professional competence is maintained. 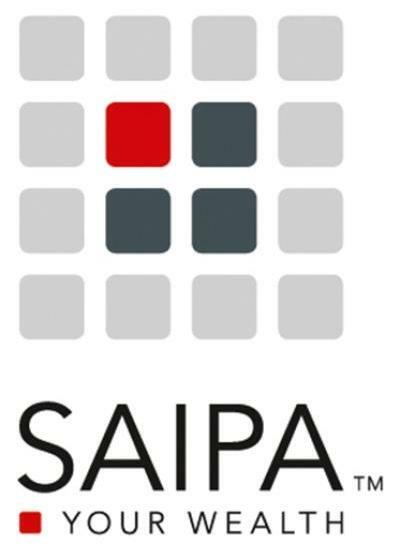 This requires them to remain continuously aware of developments in the accountancy profession, and to ensure that they have the requisite knowledge related to such developments, including an awareness of relevant national and international pronouncements, and other relevant statutory requirements and regulations. 4.3 A member shall ensure that he complies with the Continuing Professional Development (CPD) requirements of the Institute, as determined by the Institute in accordance with its requirements, where such requirements are deemed necessary. This is a material requirement of the Code of Conduct. Notwithstanding any other provisions contained in the Constitution, the By-laws or the Code of Conduct, non-compliance may result in the immediate and automatic suspension of a member and/or the withdrawal of the privileges that such a member enjoys. In the event of a member so suspended and/or having his privileges withdrawn, such member will have the right to request that the matter be referred to the Board in accordance with the provisions of By-law 7. 4.4 Members should adopt a programme designed to ensure quality control in the performance of their services, consistent with appropriate national and international pronouncements and norms. 4.5 A member not registered with the IRBA may not on his own behalf undertake any work that may only be performed through registration with the IRBA, but it shall not preclude him from doing the necessary audit duties assigned to him while operating under the direction of a registered auditor.. A member shall not, under the guise or through the medium of a company, close corporation, partnership, trust or any other entity undertake anything that would not be permissible when operating on his own account. 4.6 A member shall not criticise the professional work, professional attainment, or professional fees charged by any professional person. When a member is of the opinion that he has a duty to comment adversely about any of these matters with regard to any person, other than a member of public, he may only comment, after discussion of these matters with the colleague concerned. 4.7 A member shall not directly or indirectly offer employment to any employee of another member of the Institute without informing the member. will be in contravention of the By-Laws and Code of Conduct, and therefore be subject to disciplinary action. which fees for services are calculated, members should bear in mind that stating hourly rates and/or other costs could be misleading. 5.1.4.12 Follow-ups that refer to any previous direct mailing, unless requested by the recipient. 5.2.1 Stationery used by full and associate members should be of an acceptable professional standard and maintain a level of consistency and conformity. 5.2.2 The use of the Institute’s logo (including the designation and graphic symbol) is encouraged and permitted for use by full members of the Institute. The logo may be used in conjunction with a members business’ logo, provided that the impression is not be created that the Institute’s logo is the member’s logo, or that the member’s business’ logo does not purport to be a modified or adapted version of the Institute’s logo or parts thereof. Where members are in doubt a ruling should be sought from the Institute. 5.2.3 The Institute’s logo may not be modified, adapted, supplemented to or detracted from in any manner whatsoever. Representation of the Institute’s logo shall be in the colours of the Institute, or in black and white or in grey-scale contrast, or in such colours as the Institute may from time to time determine. 5.2.5 The designation of the Institute, as agreed by the Board from time to time, should appear next to the names of each member. Where a full member is associated with a non-member or an associate member, the impression may not be created that the non-member or associate member is a full member. designations referred to in the Constitution, and as determined by the Board from time to time. 5.2.7 Members may include references to any other person, firm or business with whom they are associated, provided that such references clearly distinguished the member offering the service and do not create the impression or mislead the public to believe that the other person, firm or business is in any way associated with the Institute, or that the member possess qualities or qualifications which he does not have or is not entitled to claim. 6.1 A member rendering professional tax services is entitled to put forward the best position in favour of a client, provided the service is rendered with competence, does not in any way impair his integrity and objectivity, and is in his opinion consistent with current legislation. 6.2 A member should not hold out to a client the assurance that the tax return prepared on behalf of the client or the tax advice offered is beyond challenge. Instead, he should ensure that the client is aware of the limitations attached to tax advice and services, and that the client therefore does not misinterpret an expression of opinion as an assertion of fact. 6.3 A member who undertakes or assists in the preparation of tax returns should ensure that the client is aware that the responsibility for the content of the return rests primarily with the client. The member should take the necessary steps to ensure that the tax return is properly prepared based on the information received from the client. 6.4 Tax advice or opinions of material consequence given to a client should be recorded and properly filed, in the form of either a letter or a memorandum. 6.5.3 Omits or obscures information required to be submitted and that such omission or obscurity would mislead the revenue authorities. A member or his business is "associated" with a return, or with a financial statement to be submitted with a return or with a submission on behalf of a client or employer when he or his business has prepared or assisted in preparing such return, statement or submission, and has consented to the use of his business’ name when he has submitted to the taxation authorities, with or without a covering letter, a return of financial statement or submission which he or his business has prepared or assisted in preparing. Such association is not negated by the fact that the return, financial statement or submission may be typed or otherwise reproduced on plain paper (as distinct from the member’s or his business’ own stationery) or that the name of the member or his business is not appended to the return, financial statement or submission. 6.7 A member may prepare tax returns involving the use of estimates, if such use is generally acceptable, or if it is impractical under the circumstances to obtain exact information. When estimates are used, they should be presented as such in a manner so as to avoid the implication of greater accuracy than exists. The member should be satisfied that estimated amounts are reasonable under the circumstances. 6.8.3 Refer to the books and records of the business’ operations. 6.9 When a member becomes aware of a material error or omission in a tax return of a prior year (with which he may or may not have been associated), or of the failure to file a required tax return, the member has a responsibility to promptly advise the client of the error or omission and recommend to the client that disclosure be made to the revenue authorities. The member is not obliged to inform the revenue authorities, nor may he do so without the permission of the client, unless legislation so requires. 6.10.2 Consider whether continued association with the client or employer in any capacity is consistent with his responsibilities. 6.11 If the member concludes that a professional relationship with the client or employer can be continued, all reasonable steps should be taken to ensure that the error or omission is not repeated in subsequent tax returns. 7.1.1 Members who undertake professional services for a client assume the responsibility to perform such services with integrity and objectivity and in accordance with the appropriate technical standards. They should discharge this responsibility by applying the professional skills and knowledge that they as members and their staff have acquired through training and experience. For the services rendered, members are entitled to remuneration. 7.1.2.5 The level and extent of investments in technology. factors set out above, and the influence of legal, social and economic conditions. It is up to each individual member to determine appropriate rates. 7.1.4 It is in the best interests of both the client and the member that the range of services related to the fees are explained, as well as the basis on which fees are computed, together with any billing arrangements. This should preferably be done in writing before the commencement of the engagement to avoid misunderstandings regarding fees. 7.1.5 A member should not make representations that indicate that specific services in current or future periods will be performed for a stated fee, estimated fee, or for a fee range if it is likely at the time of such representations that the stated or estimated fees or the fee range will be substantially increased and the prospective client is not advised of this likelihood. 7.1.6 When performing professional services for a client it may be necessary or expedient to charge a prearranged fee, in which event the member should estimate a fee, taking into account the matters referred to above. referred to in the above paragraphs. Care should be taken to ensure that the client is not misled as to the precise range of services that the quoted fee is intended to cover and as to the level of fees anticipated to be charged for subsequent work at present-date prices. 7.1.8 A member who obtains or retains work by quoting fees that are significantly lower than those charged by another member or those quoted by other tendering firms, should be aware that this practice may threaten his perceived independence. Such a member should take care that the appropriate quantity and quality of staff are allocated to an assignment both in terms of time and competence. 7.1.9.3 The client was not misled as to the level of fees for the following and subsequent years. 7.1.10 A member should, on request, furnish such details as are reasonable to enable a client to understand the basis upon which a fee account has been prepared. It follows that time records should, where appropriate, be kept as a basis for determining fees, and that the rates used to calculate the fees should in the circumstances be fair and reasonable. The rates should be based on the fundamental premise that the organisation and conduct of the member and the services provided to clients are well planned, controlled and managed. 7.1.11 The abovementioned paragraphs relate to fees as distinct from reimbursement of expenses. Out-of-pocket expenses, in particular travelling expenses, attributable directly to the services performed for a particular client would normally be charged to that client in addition to the fees for services rendered. 7.1.12 Where fees are set by legislation or Government regulation, such fees shall be deemed to be in accordance with the Institute rulings on fees and/or fee structures. commission be accepted for referral of a client to a third party. any client, except with the knowledge and consent of that client. result is obtained, or where the payment of the fee is otherwise dependent on the finding or result of the service. 7.3.2 Fees should not be regarded as being contingent if fixed by a court or other public authority. Fees charged on a percentage or similar basis, except where authorised by statute or approved by the Institute as a generally acceptable practice, should be regarded as contingent fees. otherwise contingent upon the findings or results of such services. prepared by the member in contemplation that a third party may rely on it. 7.3.5.3 The client was not misled as to the level of fees for the following and subsequent years. 8.1 Members may from time to time encounter situations that give rise to conflicts of interest. A wide variety of such conflicts may arise, ranging from a relatively trivial dilemma to an extreme case of fraud and similar illegal activities. 8.2 Members should at all times be conscious of factors that may give rise to conflicts of interest. It should, however, be noted that an honest difference of opinion between a member and another party is not initself necessarily an ethical issue. The facts and circumstances of each case need to be investigated by the parties concerned. 8.3.4 Conflict could arise when misleading information is published, which may be to the advantage of the employer or client, but which may or may not benefit the member. managerial level, the immediate superior should be notified of this decision. 8.4.2 Should it appear that the superior is involved in the conflict, the member should raise the issue with the next higher level of management. If the immediate superior is the Chief Executive (or equivalent), the next higher level of review may be the Executive Committee, Board of Directors, Non-executive Directors, Trustees, Partners' Management Committee or Shareholders. 8.4.3 Seeking counselling and advice on a confidential basis from an independent advisor or the Institute to ascertain possible courses of action. 8.5 Should the ethical conflict still exist after fully exhausting all levels of internal review, the member, as a last resort, may, in respect of significant matters, eg. fraud, have no other recourse than to resign and submit information to an appropriate representative of that organisation. 8.6 Where relationships or interests, whether direct or indirect, could adversely influence, impair or threaten a member’s capacity to act with integrity and objectivity, such relationships and interests should be avoided, even if this requires the sacrifice of personal advantage. obtain advice, from other persons competent to provide such advice. 9.1.2 A member without a particular skill may, however, be reluctant to refer a client to another person who may possess that skill, because of the fear of losing existing business to the other person. As a result, clients may be deprived of the benefit of advice that they are entitled to receive. restrict a client's freedom of choice in respect of obtaining special advice, and should, when appropriate, encourage the client to exercise such a choice. appointment result in another member being superseded, the procedures for superseding another accountant set out in paragraph 9.3 should be followed. 9.2.1 The receiving accountant should limit the services provided to the specific assignment referred by the existing accountant or the client, unless otherwise requested by the client. Furthermore, the receiving accountant has the duty to take reasonable steps to support the relationship between the existing accountant and the client, and should not express any criticism of the professional services rendered by the existing accountant, unless affording the latter an opportunity to provide all relevant information. advising the existing accountant of the approach made by the client and of the general nature of the request, and requesting all relevant information, if any, to perform the assignment. 9.2.3.2 Insofar as it is practicable, ensure that the existing accountant is kept informed of the general nature of the professional services being rendered. 9.2.4 Where appropriate, the existing accountant should, in addition to issuing instructions concerning referred business, maintain contact with the receiving accountant and co-operate with him in all reasonable requests for assistance. circumstances or transactions, the member should be alert to the possibility that the opinion may place undue pressure on his judgement and objectivity as accountant. An opinion given without full and proper supporting facts could cause difficulty for the receiving accountant if this opinion were to be challenged or the receiving accountant is subsequently appointed by the company. Accordingly, the member should seek to minimise the risk of giving inappropriate guidance by ensuring that he has access to all relevant information. Where there is a request for an opinion in the above circumstances, the receiving accountant is required to communicate with the existing accountant. permission of the client, the receiving accountant should also provide a copy of the final report to the existing accountant. If the client does not agree with the need for such communication, the engagement should ordinarily not be performed. 9.3.1.1 Ascertain whether the prospective client has advised the existing accountant of the proposed change, intention to make a change, or of the new appointment, as the case may be, and has given permission, preferably in writing, for his client’s affairs to be fully and freely discussed. 9.3.1.2 When the full member is satisfied with the reply received from the prospective client, he should request permission to communicate with the existing accountant. If permission is refused or not given, the proposed accountant should, in the absence of exceptional circumstances, decline the appointment. 9.3.1.3 On receipt of the client’s permission, the proposed accountant should request the existing accountant, preferably in writing, to provide any professional reasons why he should not accept the appointment. 9.3.2.1 Reply without delay, preferably in writing, advising whether any professional reasons exist why the proposed accountant should not accept the appointment. 9.3.2.2 Where any reasons exist, ensure that the client's permission has been obtained for information to be provided to the proposed accountant, and to communicate with the proposed accountant if this is not the case. 9.3.2.3 On receipt of permission from the client, to disclose all information that may be required by the proposed accountant to decide whether or not to accept the appointment. accepted, and that it is therefore his intention to accept the appointment. 9.3.4 The fact that fees may be owing to the existing accountant is not a professional reason why another full member should not accept the appointment. effected, and should, unless the existing accountant has a legal right to withhold such books and papers, advise the client accordingly. In this instance, the non-payment of fees shall be a valid reason for the withholding of the client’s books because of the lien the full member has over such books. 9.3.6 In general, it should be understood that these prescriptions do not define the limits of desirable intra-professional conduct. Such conduct should encompass the professional consideration and courtesies that all members would have fellow members extend to each other. response, it is important that in such situations the welfare of the profession as a whole should guide the action of members. 9.4.2 Although it is understandable that a member may be reluctant to testify, if such testimony may be damaging to a colleague, the obligation of professional courtesy and fraternal consideration may never be an excuse for the lack of complete candour when a member is testifying as a witness (expert or otherwise) in a judicial proceeding or properly constituted enquiry. which will in particular negatively impact on the integrity and objectivity expected of members. Furthermore, a member should not act in any way that negatively reflects on fellow members. 9.4.4 While it is essential that the legitimate interests of clients be protected, it is equally important that the person who proposes to accept an appointment in terms of any statutory law is afforded the opportunity of ascertaining whether there are any reasons why he should not accept such an appointment. A full member who resigns his appointment to a legal entity, e.g. as accounting officer, should in his letter of resignation to the legal entity state the reasons for his resignation. In the case of a close corporation, such letter shall be sent to the business address of the close corporation with a copy to every member of the close corporation. accounting officer in writing of the change, whether he is a full member of the Institute or not. A full member may not delegate to any person who is not his partner, his power to sign any document or other reports expressing opinions, or certificates on which a member of the public may rely in making financial decisions. In specific cases where emergencies of sufficient gravity arise, this prohibition may be relaxed on application to the Institute, providing that the full circumstances that gave rise to the need for delegation are reported to the client. 11.1 A member rendering services to the public should preferably not hold clients’ funds. 11.2 No member shall hold funds in excess of such amount as may from time to time be covered in terms of the Institute’s Professional Indemnity insurance policy without first having provided additional insurance cover for such excess amount. All members are obligated to contribute to the insurance premium payable by the Institute. 11.3 Due care and diligence should be exercised when handling clients’ funds. A member should not accept any funds if there is reason to believe that these funds were obtained from illegal activities or are to be used for such activities. 11.4 Any member accepting funds from clients shall ensure that he is fully conversant with and complies with any relevant legislation pertaining to such transactions. 11.5.3 Be ready, at all times, to account for such funds to any person entitled to request such accounting. 11.6 A member shall ensure that funds held on behalf of a client are held in the name of the client with the deposit-taking institution and not in any trust account of such member or his business. 11.7 Clients’ funds received by a full or associate member should be deposited without delay to the credit of the client. If such funds are in the form of documents of title to money and documents of title that can be converted to money, the full or associate member must ensure the necessary safeguards against unauthorised use. 11.8 Funds may only be drawn from t client’s account on the written instruction of the client. 11.9 Fees due from a client may be drawn from that client’s funds, provided that the client, after being notified of the amount of such fees, has agreed in writing to such withdrawal. In the absence of such a written agreement, no funds may be retained by a member as security for fees, notwithstanding termination of his mandate, and payment of the said funds shall be made as soon as is reasonably possible and as directed by the client or former client. 11.10 Payments from a client’s account shall not exceed the balance to the credit of the client. 11.11 When it is likely that a client’s funds will remain in the client’s account for a significant period of time, the full or associate member should, on the written instruction of the client, within a reasonable period of time place such funds in an interest-bearing account. 11.12 All interest earned on a client’s monies should be credited to the client’s account. 11.13 Members rendering a professional service to the public shall keep such books of account as will at any time enable them to establish clearly their dealings with clients’ monies in general and with the monies of each individual client in particular. A statement of account should be provided to the client at least once a year. 12.1 The Institute may from time to time, as it may deem necessary for the furtherance of the objectives of the Institute, enter into agreements with other professional bodies regarding the joint regulation of members, members’ compliance with Codes of Conduct, the professional services rendered to the public, and professional and academic standards. 12.2 It is recorded that the Institute subscribes to the Rules and Code of Conduct of IFAC and that members are therefore required to ensure that they are fully conversant with the current terms and conditions of the IFAC Rules and Code of Conduct. Any conflict or uncertainty with regard to the application or interpretation of the Institute’s Code of Conduct or By-laws shall be resolved with due regard to the abovementioned IFAC provisions. In the event of any direct conflict with the IFAC Rules and Code of Conduct, the IFAC provisions shall prevail.